Pitching sessions have become a frequent tool for financing documentaries in development and consequently the visual part of the pitch has become increasingly important. A pilot can either make it or break it when a project is being pitched for funding. 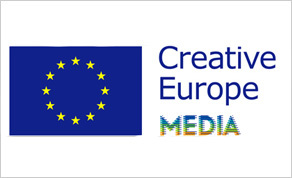 To help producers, filmmakers and editors meet these demands; EDN has developed this workshop with the focus on the creative development of the visual material shown during a pitch. The EDN Pitch Pilot Workshop is an intensive three-day workshop focusing on the development of pitch pilots for documentary projects. During these three days the selected teams will re-edit their pilots and make crucial decisions for the visual approach to their stories. The first morning of the Workshop on April 2nd will consist of a general information session on how to create a great Pitch Pilot. Using concrete examples of successful Pitch Pilots this plenary session will be presented in in collaboration with Ove Rishøj Jensen EDN Film & Media Consultant. This half-day presentation will be open to all Documentary Filmmakers or anyone interested in Creative Documentaries. The Pitching Pilot Workshop will take place at the Galway Bay Hotel, Salthill, Co. Galway and will run from the 2nd-4th April, 2019.